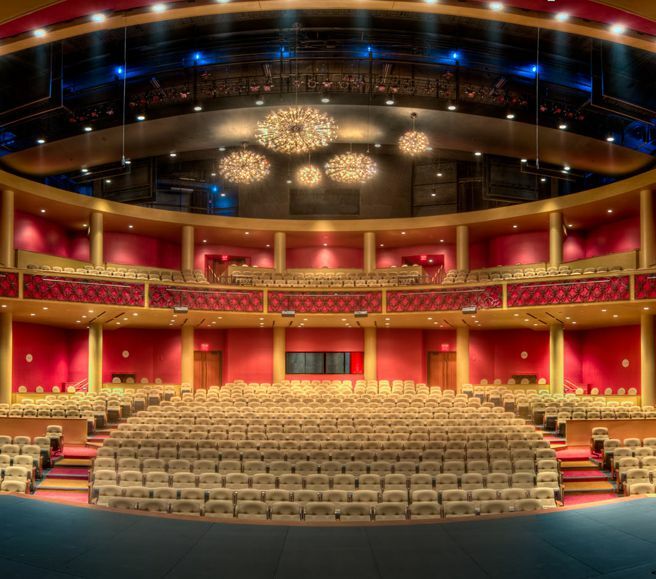 A state of the art music hall to host and educate students in the arts of classical music, jazz, modern dance, ballet, opera, musical theater and other performing arts events. 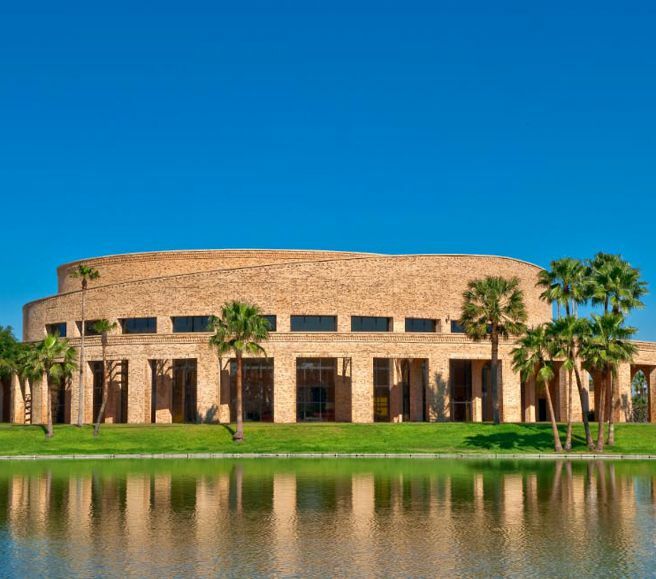 This building is perhaps the premier building in all of the Rio Grande Valley. 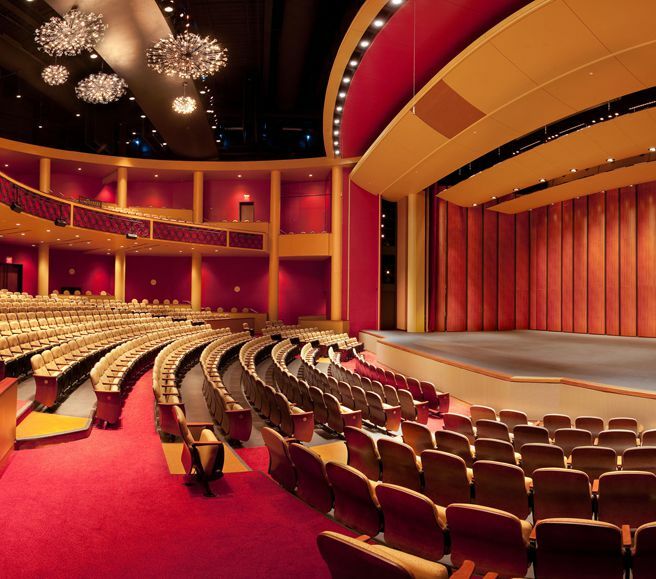 The name “education building” is deceptive as this is a state of the art auditorium for the performing arts with high end finishes and world class acoustics. The General Contractor was Skanska, Marek was contracted to do the metal stud framing, drywall sheathing, and acoustical ceilings. There was a lot of radius work in the walls and ceilings which required skilled craftsmen working safely; in most cases, high above the finished floor. Skanska did an excellent job of selecting competent subs. 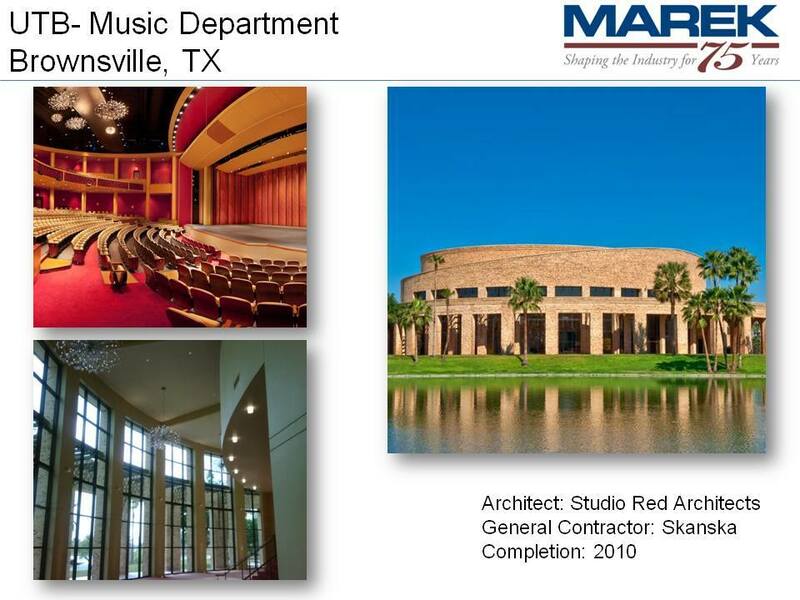 Marek performance and quality was crucial to the success of this facility.